Located conveniently along the main beach front road our Juvenate Health & Leisure club has an indoor swimming pool, fully-equipped gym, sauna and steam room. 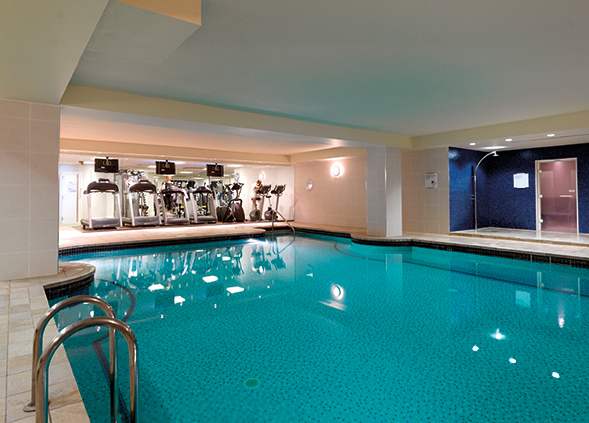 Whether you are using our facilities to work out or unwind we have something for everyone. Once you join the club you will receive a free induction and programme session on how to use the gym equipment and we will tailor a programme towards your specific goals. We then offer all members a free review of this programme every 6-8 weeks to update your workouts and assist you towards achieving your goals. Children are welcome to use the swimming pool, but those under 16 should accompanied by an adult at all times and to ensure the safe use of the pool we have a 2 to 1 ratio of children to adults that has to be adhered to. At Jurys Inn Brighton Waterfront, our Juvenate Health & Leisure club provides exclusive facilities in order to meet all your fitness, wellness and relaxation requirements.